Saturday afternoon I received a text from Harvey asking if I could join him at Belleayre on Sunday. This season’s early cold has allowed aggressive snowmaking and the mountain has made good progress opening terrain, so I jumped on it. 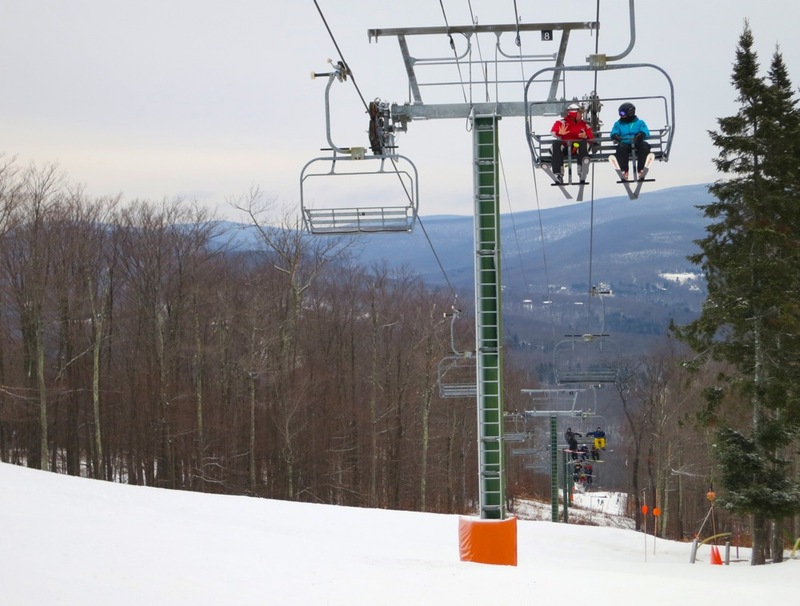 Belleayre’s trail report had two lifts and 11 trails open, including a mix of green, blue and black terrain. Conditions were reported as machine groomed loose granular, loose granular with moguls, hard pack and thin cover. 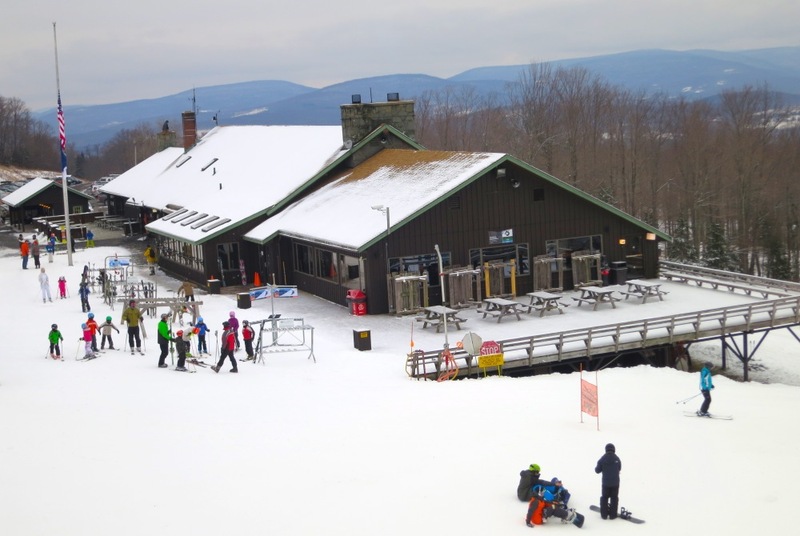 Both the Discovery Lodge and the mid-mountain Overlook Lodge were open. We could see a snowmaking cloud on the hill as we approached from Route 28. We parked at the Overlook Lodge and were on the Super Chief Quad in just a few minutes. As advertised, runs on Onondaga, Roaring Brook and Horseshoe Pass featured groomed cord and packed powder. Trails were covered wall-to-wall. We didn’t see any thin spots. Snow guns were running all day as temperatures remained in the teens. Wanantuska, Onteora, and Mohawk were all open top to bottom. 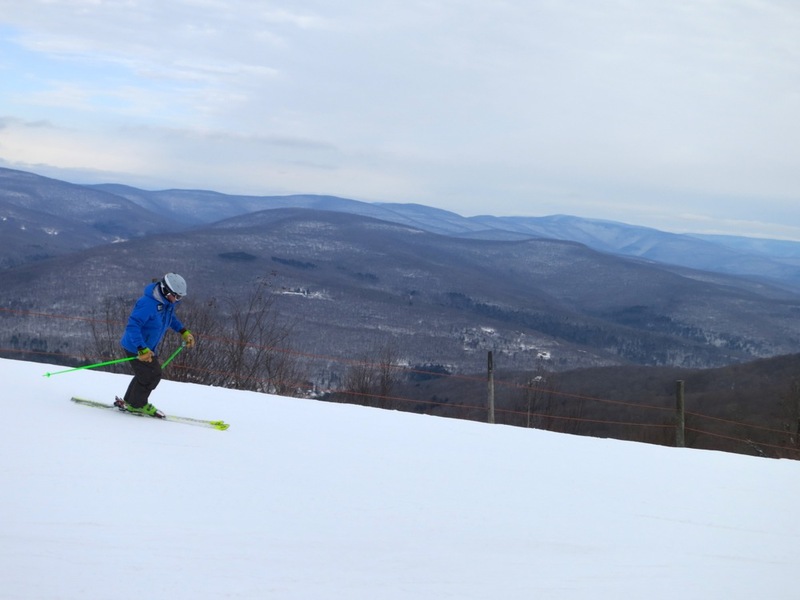 Wanatuska had some nice, soft manmade snow at the top and Mohawk had some granular and icy moguls. There were no lift lines, and trails were uncrowded, but there were skiers and riders on almost every chair on the lift. In addition, the mountain was running early season snowsports instructor training clinics. 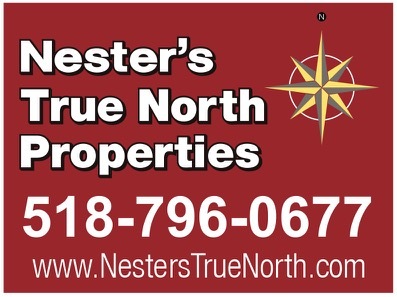 Around noon, we were able to connect with GM Tom Tar and Joe McCracken, the mountain’s marketing guy. They were both wearing jackets with the ORDA Olympic flame logo. 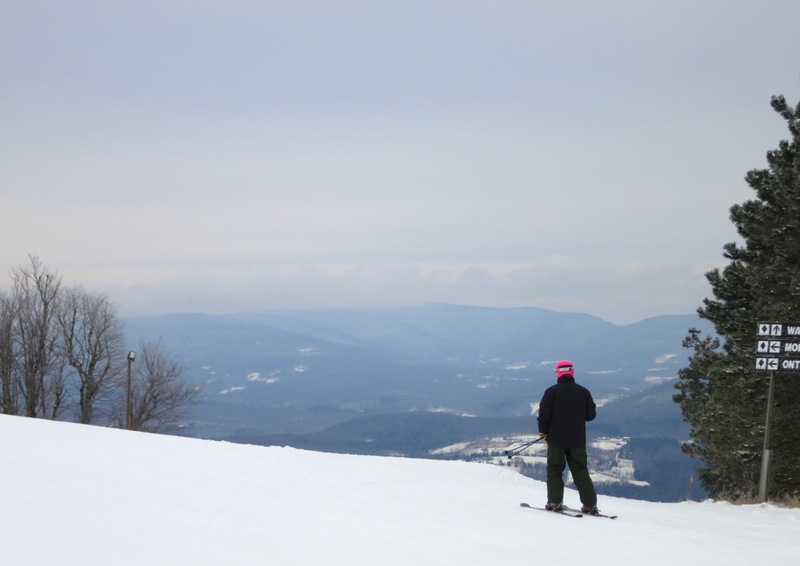 Although ORDA officially took over Belleayre more than a year ago, this season’s opening feels like a beginning. These guys seem genuinely happy, even relieved, to be part of ORDA. Tom detailed improvements in pumping infrastructure that are allowing Belleayre to increase water pressure and make better use of the high-efficiency guns in their arsenal. Joe talked about coordination and cost savings by sharing trade show expenses with Gore Mountain, adding a new webcam and redoing the website. On this gray early season day, the clouds over Belleayre’s future seem to have lifted. What a scenic view, even on a gray day. Can’t wait to get back there!